Religion and spirituality have often been treated with a secular disdain by management theorists. 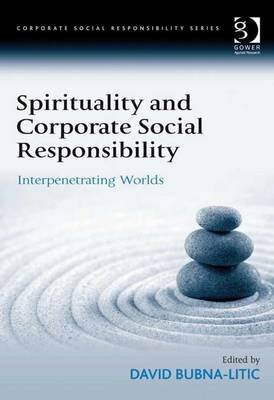 Recently, the tide has begun to turn and there is a growing openness to cite spirituality in academic analysis and debate, and when considering issues of practical concern to those engaged in the actual business of management.This provocative book brings together a range of leading thinkers to consider the relationship between spirituality and corporate social responsibility. The book's contributors examine spirituality as an inherent dimension of corporate life even if it is only known through its absence - and through the negative consequences of this absence on people and the planet.With contributors from four continents, David Bubna-Litic has assembled a range of fascinating perspectives having their origins in traditions that include Christianity, Process Theology, Hinduism, Contemporary Buddhism, Deep Ecology, Humanism, Post-Modern and Post-Romantic Spirituality.Spirituality and Corporate Social Responsibility is a fascinating read for anyone with an interest in ways in which spirituality relates to what is or what should be driving businesses and organizations to more responsible behaviour.